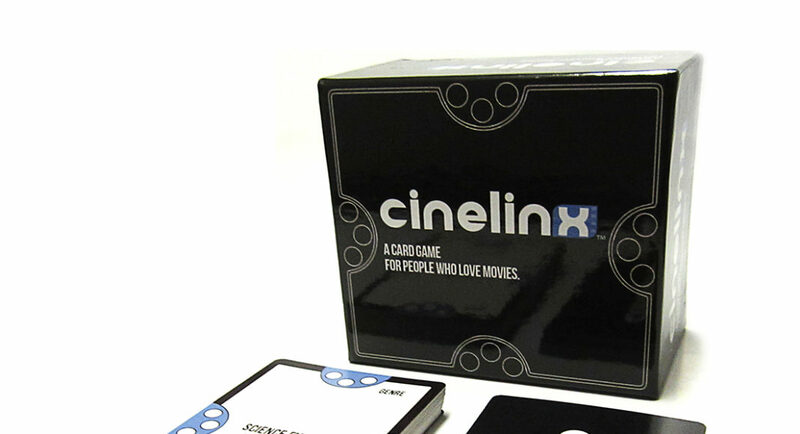 Cinelinx Movie Game Review And Giveaway - Are You Screening? Cinelinx is a Kickstarter (check their Kickstarter page for tons of info)success story, and one of the few movie-related games that is quick, easy, and a lot of fun to play. I don’t say that lightly either, and took some time to test this one out. Sure, it sounds cool, and most things are decent enough the first time you play, but then they hit the back of the closet and are never heard from again. No, this one really is pretty cool, and if you have any friends that are as much of a movie fan as you are, you’ll keep this one out. It’s surprisingly simple, and the image tells the story better than I could. 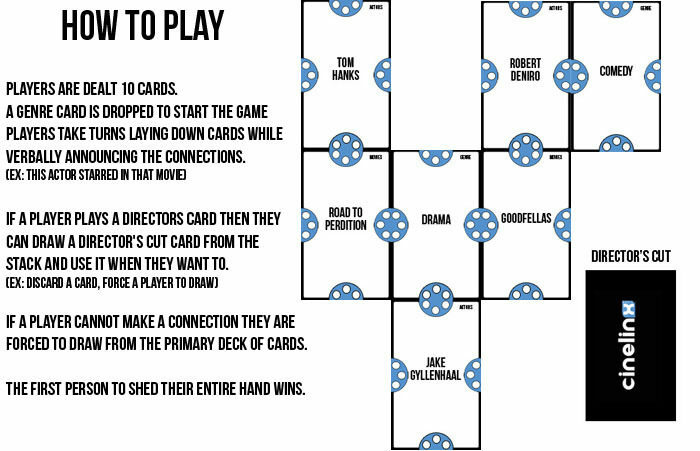 There’s a bit more to it than that, and you can put your own spin on the rules, like how many “steps” a connection can have to still count as being a card you can play on another card, but that’s the basic idea. What’s cool about the game (other than the surprise that it can be pretty fast-paced) is that it’s just an excuse to think about movies that you probably haven’t for quite a while. It’s also a good chance to find out that your friends are wrong about who was in what. It’s such a good excuse, to be honest, that at least half of the times I’ve played the game, it never managed to get finished. And, that’s where this game actually connected with me, because it’s simple enough to allow you to make it what you want. They also have an expansion, and more in the works. Check this one out, especially if you happen to be looking for gifts for the cinephile in your life. And, since I know you’re itching for a copy, I have one to give away. Just check out the widget below to enter.